Remember David's eyes as he's transforming in American Werewolf in London? One of our most impressive models of contact lenses perfect for professional use during movie production of photo shoots. 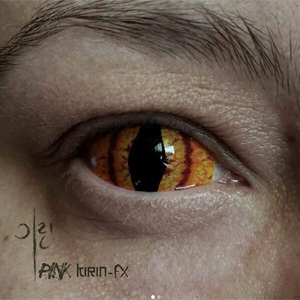 ColourVue Sclera Shadowcat 22mm contact lenses feature a pattern reminiscent of wild cat's eyes but they also bring a reptile to mind. Thanks to this they are quite versatile and can be used with multiple various costumes and themes. Order a pair now!